With the loss of the Avro Type F monoplane, A.V.Roe decided to build a second model; this time, it was a two-seat biplane with a fully enclosed cabin. 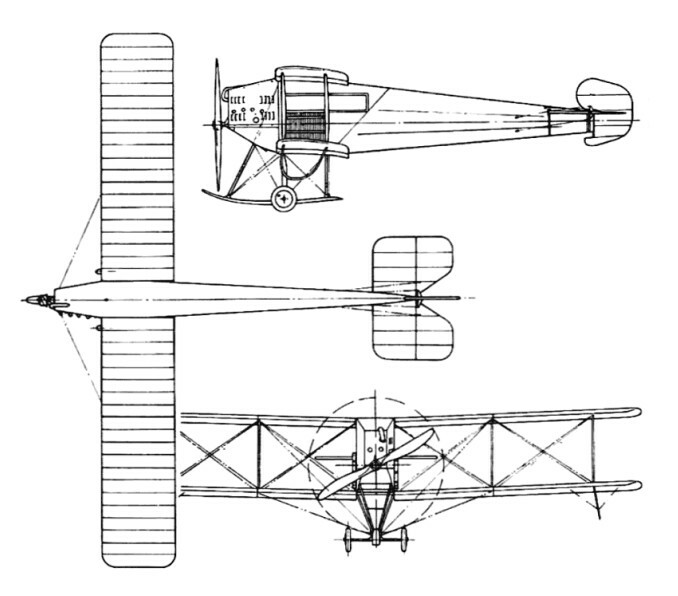 Loosely based on the structure of the Type F, the Avro Type G, as it was known, had a very narrow cabin with maximum beam of 2 ft 3 in, tapering to 1 ft 3 in at the end. Powered by a 60 hp Green engine which had spiral tube radiators mounted either side of the cabin, the engine was enclosed in louvered cowlings with the exhaust extending over the roof of the cabin. Access to the cabin was through a hinged door in the fuselage. Two models were built: the first, No.6, was to be powered with the 60 hp Green engine, the second, No.7, was to be fitted with a 60 hp A.B.C. engine. The later engine was not ready in time and because it was a real rush job, the Green engine was fitted. It was intended to enter the aircraft in the 1912 Military Aeroplane Competition at Larkhill, Salisbury Plain. The aircraft was completed, crated and shipped off by rail from Manchester. On arrival the aircraft was assembled and Wilford Parke, the pilot, took off on a three hour endurance trial. The weather closed in and the air became so turbulent that Parke was forced to return to Larkhill. Landing downwind, the aircraft overturned, causing extensive damage. The Avro Type G No.7 was returned to the factory in Manchester for extensive repairs. In the meantime, aircraft No.6 had been completed and sent to Larkhill to compete in the competition and sent to Larkhill to compete in the competition. All the tests went well, including Parke flying into a heavy rainstorm for almost 45 minutes. The Avro won the assembly test, in 14½ min, and the fuel consumption test. The watching military observers were impressed, but not so impressed as to give Avro any orders for the aircraft. The aircraft returned to Shoreham, where it joined the fleet of Avro aircraft at the Avro Flying School. Nothing more was heard of it.